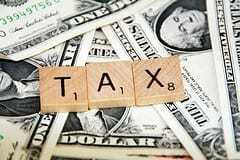 How do I qualify to receive the 2013 tax credits for new HVAC systems? The installation must be made in an existing home. The tax credits are not available for newly constructed homes. The home must be your primary residence. That means the installation must be made in the home where you live most of the time. If you are installing the new system in a vacation home, for example, it would not qualify for the tax credits. How long are these tax credits available for? The tax credits for new HVAC systems are available until December 31, 2013. The tax credits are also retroactive for last year, which means you can still qualify to receive them if you installed a new HVAC system that meets the below qualifications any time in 2012! What HVAC systems qualify for the tax credits? Air source heat pumps ($300 credit): In order to qualify, an air source heat pump must have an HSPF rating of at least 8.5, an EER rating of at least 12.5 and a SEER rating of at least 15. Central air conditioners ($300 credit): In order to qualify, a central air conditioner must have a SEER rating of at least 16 and an EER rating of at least 13. Gas, propane or oil furnace ($150 credit): In order to qualify, a furnace must have a an AFUE rating of at least 95. If you have any questions about the 2013 tax credits that are available for new HVAC systems, or if you’d like a cooling system serviced or installed in your home, contact Tiger, your Glen Carbon plumbing, heating and air conditioning company. Previous Previous post: How Does a Tankless Water Heater Work? Next Next post: What is the SEER Rating of an Air Conditioner?